Thanksgiving is over, which means the countdown to a new year has begun. This is the season when we’re crossing off the final days of the old year and thinking up our New Year’s resolutions. If you’re lucky enough to be ringing in the new year with a Hawaiian getaway, you’re definitely off to a great start. During your visit in Hawaii, it’s easy to get lost in the golden sandy beaches and beautiful sunrises and delicious cuisine, but there’s another element to your countdown to midnight you may not be thinking of – outdoor adventure activities. Why not close out the year with a bang, something that will really start the new one off on a high note. Sure, you can still get plenty of relaxation in and partake in any New Year’s Eve festivities you have planned, but if you’re even a little adventurous, at least some of your days should be spent exploring the more thrilling side of the islands – and providing an exciting close to the year. Kualoa Ranch. Coral Crater. Keana Farms. 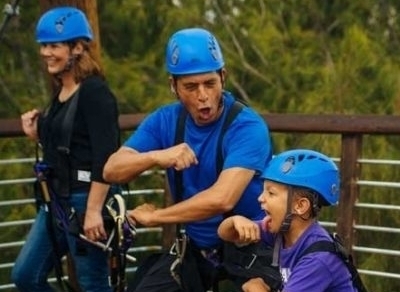 These names may not mean much to you yet, but once you immerse yourself in all things Oahu, you’ll recognize them as having some of the best ziplining experiences in the islands. Before the year ends, treat yourself to the experience of a lifetime with an Oahu zipline adventure over some stunning terrain. 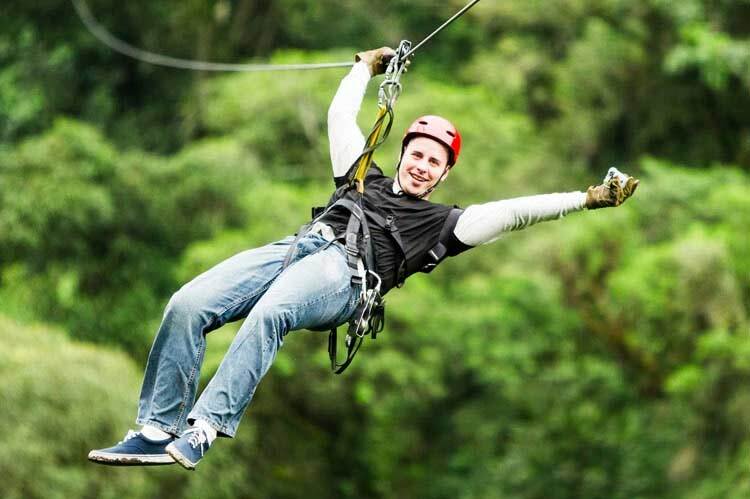 Whether traveling at great speeds over the beautiful landscapes of the rustic western side or enjoying the rich greenery of the North Shore, ziplining on Oahu is a thrill made for the Hawaiian scenery. The world that awaits beneath the Pacific Ocean’s surface is a wonder of oceanic life and alien scenery. The colorful coral looks like it’s from another planet, but it provides a beautiful home for some of the most vibrant and curious creatures of the sea. 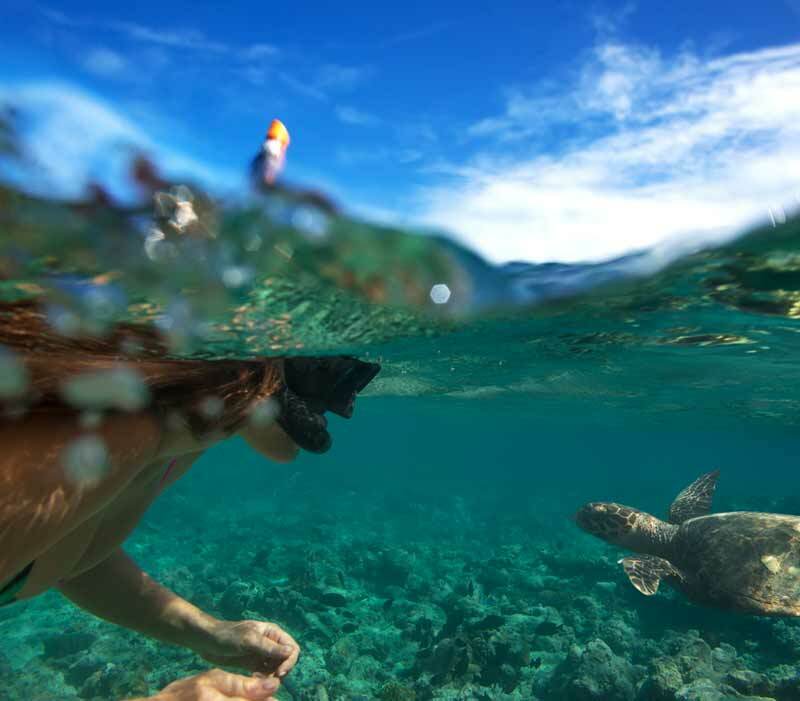 Snorkeling introduces you to this unseen world and gives you the opportunity to see some of Mother Nature’s more exotic wildlife, including schools of tropical fish and docile green sea turtles. Yes, New Years Eve is well into the winter season, but here in the tropics of the Pacific, the water is always warm and inviting. Say goodbye to the year in a way that will make the turn of the new year something you won’t soon forget. Explore the adventurous side of Hawaii for some incredible experiences that certainly beat standing out in the cold with hordes of other people waiting for a ball to drop! 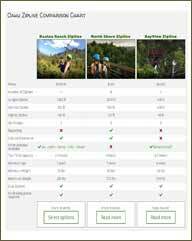 Ziplining: Why Trust CLIMB Works Keana Farms?